Manufacturer & Supplier of Ice Crusher. Our product range also comprises of Continues Ball Mill and Air classifier. We are a trusted name in the industry for manufacturing and supplying Stone Crusher to our revered patrons. This Stone crusher has earned us a huge clientele and loads of appreciations. It is designed for the crushing of rocks and gravels into finer particles. 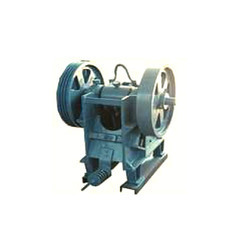 This jaw crusher makes use of great force and is robust in construction. It is easy to install and comfortable to clean. We looking buyer of Stone Crusher From all over India. We are among the distinguished names in the industry for manufacturing and supplying Industrial Ice Crusher to our valued customers. The offered machine is used for providing crushed ice and is ideal for heavy duty applications. It is available in a wide range of technical specifications for meeting with the variegated demands of the customers. Our product is made from high grade of raw material. We are among the distinguished names in the industry for manufacturing and supplying Ice Crusher to our valued customers. 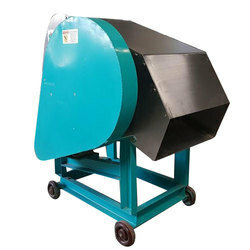 The offered machine is used for providing crushed ice and is ideal for heavy duty applications. It is available in a wide range of technical specifications for meeting with the variegated demands of the customers. Our product is made from high grade of raw material. And we looking buyer of Ice Crusher from all over India.